A cleansing oil is a great product for every skintype. Some think it will only work for skin that is dry or combination, but I can prove you that even oily skin can handle a great cleansing oil! 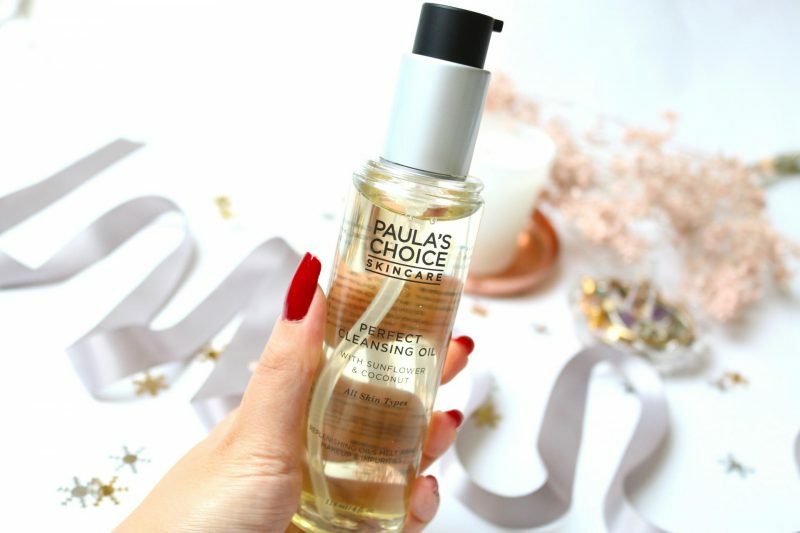 Today I will show you the Perfect Cleansing Oil by Paula’s Choice. A great cleanser makes your life easier because it will save you time during your routine and your skin will thank you for that. But does it really takes away all the dirt and how does my oily skin react on this product? Let’s get started! A great oil cleanser only needs two factors: it has to be quick and easy and the skin feels smooth after the cleanse. Sometimes people get afraid of oil cleanser because the expect that it will take their more oil and creates sebum after using it. I can say as an oily skin girl, that this is not true and sometimes creates the opposite effect! But that is something for later in this article. Infused with five plant oils specifically chosen for their ability to break down makeup and facial debris, this luxe-feeling cleansing oil nurtures skin’s moisture balance. The fragrance-free formula is gentle, yet works incredibly fast, leaving nothing but silky, clean skin. Sunflower, coconut, meadowfoam, jojoba and grape seed oils come together to simultaneously cleanse and replenish skin’s barrier. This innovative mix forms a milky emulsion when mixed with water, to remove stubborn impurities and even the most tenacious makeup. The most important thing is the packaging. An oil cleanser usually comes in a pump because it gives you the right amount of product and you can instantly smudge it in your hands. The bottle looks super luxurious and created high expectations when I look at it. It may sound weird but the effect of a see through bottle with the black and silver cap makes it look super expensive. To cover your face and neck I advice you to take 2 pumps in the palm of your hand. When I first tried it out the sunflower oil scent came right into my nose. The oil is described as fragrance-free product bus that doesn’t mean you can’t smell the natural ingredients in the product. Too sad that you won’t catch anything of the coconut that is included in the list. The oil itself feels super smooth on the skin: almost like a non-liquid substation. Hard to describe but it glides on the skin like whipcream that is 10 times lighter or something. It almost feels surreal. When I started to rub it into my skin I could notice something very weird: my eyes started to tingle. I never experience any irritation with a cleansing oil when I rubbed it over my eyes (I have a lot of false lashes glue sitting there that can be only removed with an oil cleanser) and now I had to immediately rinse my eyes to get rid of that feeling. It was not that I was pouring it into my eyes, first I massaged the skin and with the left over oil I rubbed it into my eyelashes which contained lash glue. After I rinsed my eyes the feeling disappeared very fast but it was not a pleasant experience. Moving on to the skin: my makeup dissolved instantly when I massaged it. It feels amazing when my skin touches the oil. With only a few circular motions the makeup starts to melt. To make the experience even better, add some water and see how the oil changes into a milky texture to have that full experience. Rinse is with some water and see the difference. 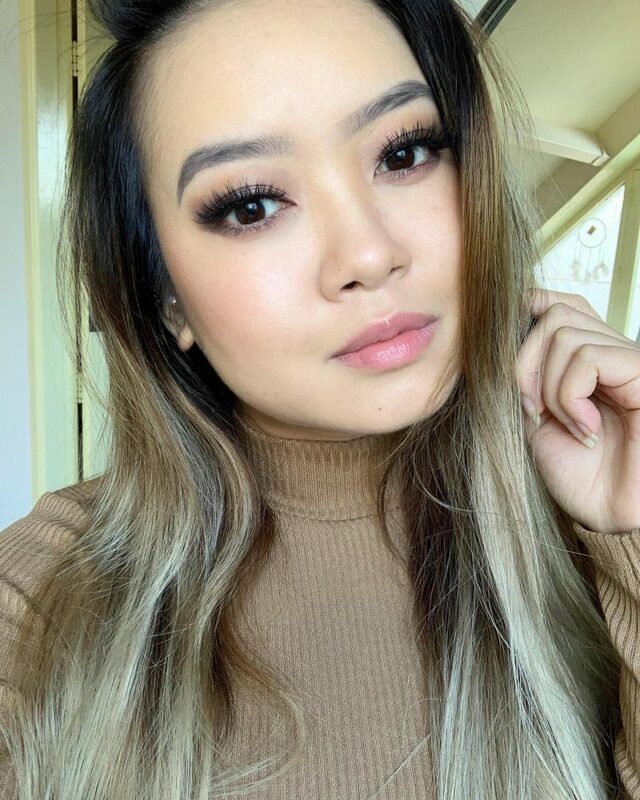 With the amount of makeup I use everyday for work it would be enough to wash my face once. Are you a makeup guru and do you wear tons of different products on your face? Maybe you should use the cleanser twice to guarantee your skin that it is clean. Because of my oily skin I can say that I love the effect of this cleanser. After an hour (no products on the skin) my skin feels nourished and smooth without having that super oily effect. Usually my face looks like a discobal within an hour but now I felt it stabilized my skin. This is something truly personal and may vary depending on your skin type. 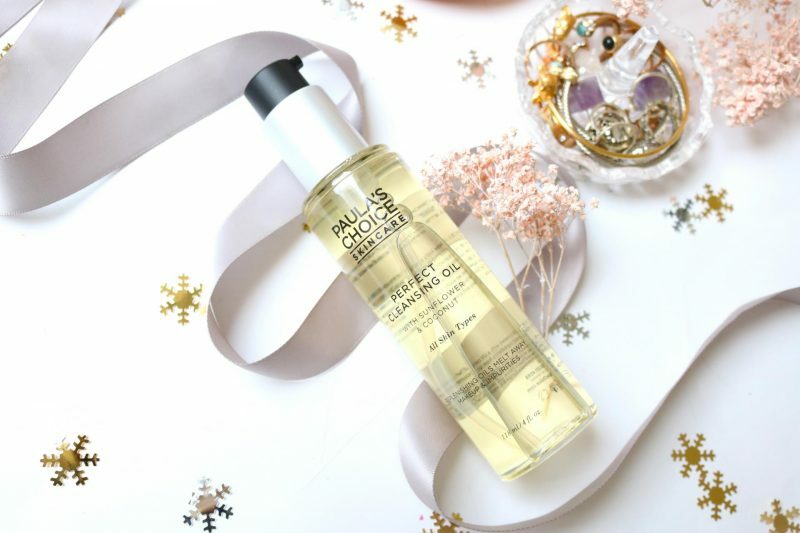 Can we call it THE Perfect Cleansing Oil? To me it is perfect when the experience and the results are 5/5 but for this time I will give it a 4,5/5. Why? Because it caused some irritation on my eyes while I don’t experience this with my other cleansing oils (Bioré and Kiehl’s). 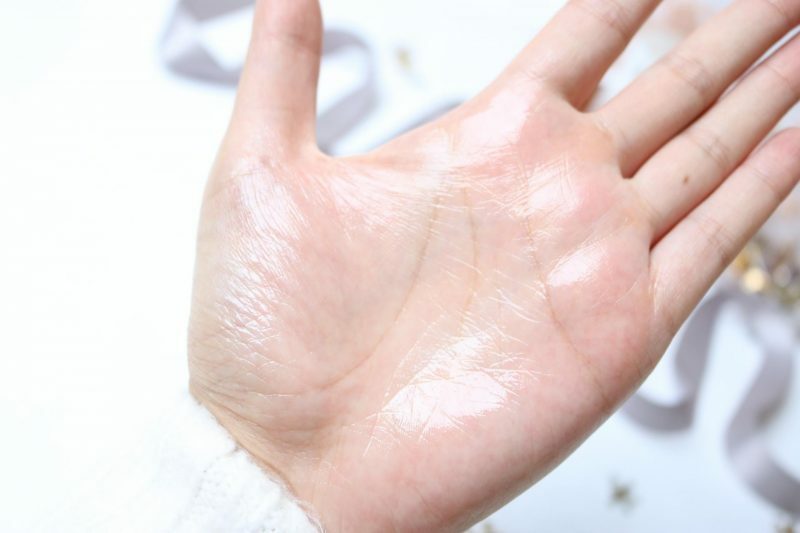 I love how the oil feels like on my skin, it is almost buttery but liquid and super smooth. While I massage the skin you can instantly see the makeup dissolve and within seconds you can rinse your face to end it with clean skin. My oily skin loves this cleansing oil, it usually loves all oils which may sounds weird. But when you attack fire with fire in this case it made my skin less oily during the day (not the perfect way to describe it but I guess you get the point). I’ve read mixed reviews about this cleansing oil for people who didn’t have an oily skin like me. Usually I don’t like to read other reviews so I can really have an objective view of the products but this was quiet a new product so I had to do my research. I always say that every person is different even tho they have the same skin type. Your diet and lifestyle can give a different impact on the products you use, so I will definitely recommend you to try this cleansing oil. Not only because it worked for me but everyone needs a cleansing oil in their stash! You can get your own Perfect Cleansing Oil by Paula’s Choice for €25,-.